Forgot to put my bin out this week! In theory I would have to wait another two weeks before it was emptied but where I live I was able to take advantage of a communal bin and dump my rubbish in there. I made a point of transferring the oldest and potentially smelliest rubbish from the bottom of my green bin. It doesn't smell yet but I'm guessing it would do in two week's time. Overloaded bins are still being collected in this area but I don't know for how long for? We're using our green bin more than ever. For some reason the blue bin isn't getting used half as much. Our communal recycling bin has been removed altogether. Last I remember it was parked by the road for weeks awaiting collection. Have also noticed that since fortnightly collections started the Bin Fairy has been collecting excess waste from bins prior to them being emptied by the regular crew. Half the blue bins around here were left unemptied this week with notices attached saying they contained items which could not be collected. There was also a council enforcement notice attached to one lampost which I was unable to read in the dark but I assume related to overflowing bins being left out for collection. Up until now they had been mysteriously tidied up by some unseen force immediately prior to collection. Several Coventry families were left with overflowing bins after binmen failed to pick their rubbish up on time - for almost eight months. And a blunder between bin crews, who both thought the other was collecting the bins, was behind the chaos it has been revealed. The residents missed more than half of their fortnightly collections after the council made the switch from weekly collections in September 2017. The details were revealed in just one of 11 complaints upheld against the council's refuse service by the Local Government Ombudsman this year (2018). Coventry City Council has had to pay out hundreds of pounds to residents after the Ombudsman ruled they had been caused unnecessary inconvenience. Other failings saw a disabled resident suddenly left without assisted collections for around six months, and residents claiming they were left with maggots because of extensive missed collections. The council was also criticised for failing to respond to complaints correctly. In June, the Local Government Ombudsman recommended the council pay £150 to a man - named only as Mr B - after it had failed to collect his rubbish and that of five of his neighbours on time for almost eight months. Two crews had mistakenly believed the other was collecting the bins. But despite raising the issue with the council, the problems continued for months. It all started after the switch to fortnightly collections last September, but the problems were not resolved until mid-April 2018. Another complaint about the council's refuse service was upheld on April 30, 2018. This time the council agreed to pay £150 to Mr D and give him a written apology after failing to carry out his assisted refuse collection - which sees bins taken out for those with disabilities or mobility issues - for around six months. The problems again started when the council introduced the current fortnightly bin collections, and continued after he had reported it to the council and despite the authority issuing a reminder to crews. The council acknowledged it had inadequate records on why it had missed the collections, and did not monitor his collections despite promising to. It also admitted it had failed to respond to one of his complaints. The council agreed to pay £100 to a disabled resident who was not receiving two empty bags for his recycling waste after the complaint was upheld by the Ombudsman on April 10, 2018. The council agreed to make a "token payment" to an elderly gentleman who had several bin collections missed despite being signed up to the council's assisted collection scheme. This included a period where the complainant said there was no collection for 12 weeks. They should take the payments out of the pockets of the council officials who were responsible! I can't disagree with you Dutchman. It's high time that those employed in public office face financial penalties for the abysmal service that they deliver. A new Coventry business is offering to collect the bins of residents fed up with fortnightly collections. 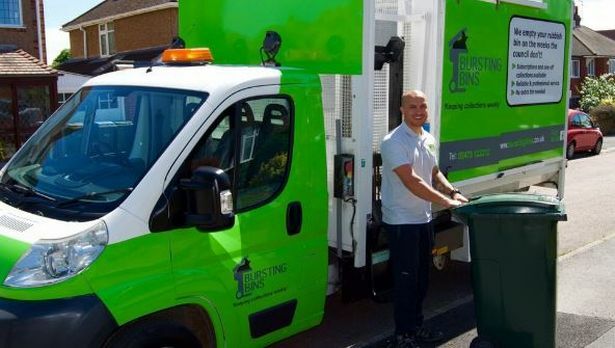 Bursting Bins - a family run business - says the service is perfect for large families or those struggling since council services were reduced. They will also collect from those who have forgotten to put their bin out or missed their normal collection, had a party or those who are worried about attracting maggots, flies and rats to their homes. Residents can sign up for one-off collections or subscribe to have their bins picked up over a longer period. On its website Bursting Bins tells customers: "We empty your rubbish bins on the weeks the council don't". The business operates on the weeks the council does not collect rubbish. There's no lock-in contract, and you can choose between a one-off collection or a subscription service for six months of 12 months. If you want a one-off collection on the next day, you'll need to book before noon the previous day. The website also says to contact the office to see if a collection can be provided on the same day. All you need to do is sign up and provide your name, telephone number, address and payment details. The business guarantees it will never share personal information. Then one of the team will empty your bin. They ask you to leave the bin outside for collection from 7am, and warn only waste inside the bin will be colleted. They also ask for the rubbish to be bagged. The team will not collect any heavy construction waste such as bricks, rubble, plaster, cement, sand and soil, or any waste deemed hazardous. They will then replace the bin neatly where they found it and take your rubbish away to a local waste transfer station where it is processed and then forwarded to a facility where your waste is converted into energy. He'll do well with this business. £9 to empty a bin. Seems a bit pricy. I wonder how long this will last. I know that this guy will have had to buy the vehicle also he will have to pay vehicle tax at business rates. Then will need a permit for tipping.. All very costly but many will not be able to afford this service? I bet our council won't like this taking part of their big money making business.